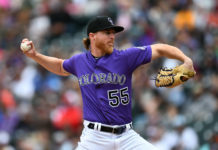 Don’t be surprised if the series with the Tampa Bay Rays following the All-Star break becomes known as the moment when the 2016 Colorado Rockies season officially ended. Not because the team lost a series to a struggling team, but by the way they didn’t respond in the rubber match at home. 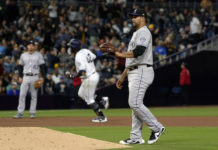 After a well-rounded win in the opener, the Rockies lost the last two games by a combined score of 21-4 to a Rays team that has the lowest batting average (.239) in the American League. 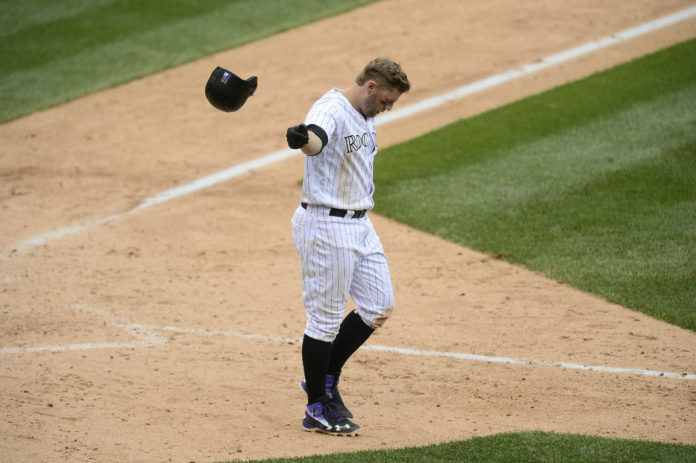 To add insult to injury, Rockies hitters struck-out 27 times in those two games. It is the first time in Rockies history that they have struck out 12 or more times in consecutive games at home. The Rays hadn’t won a series in July and hadn’t won a game on the road in 41 days until they came to Coors Field. Tampa Bay is 5-25 in their last 30 games and are now 20 games under .500. Former Rockies outfielder Cory Dickerson stood out in the series going 6-for-10 and tied a season high three hits in the rubber match to help put the final game out of reach. Walking into the clubhouse, after the completion of this series, felt like walking into a ghost town. Even when you can find a local, there isn’t much said about where they’re coming from. Walt Weiss’ postgame press conference summed up the dreary, frustrated feeling after letting an opportunity get away against a struggling team. Weiss said that starter Jorge De La Rosa lacked command and he didn’t get in good enough counts to use his change-up, which he described as De La Rosa’s best pitch. Weiss chalked up the lack of run support to the great command of the slider that starters Blake Snell and Chris Archer displayed in the last two games. Archer was 4-13 coming into the game but he only allowed two runs, striking out 11. Unfortunately, De La Rosa had even less to say after he reverted back to the starter the team has become accustomed to early on in the season. The start ended five consecutive quality starts that tied his longest streak of his career. He gave up nine runs, seven earned with the latter tying the high for the club this season. The runs allowed are concerning but the lack of runs at home is inexplicable. DJ LeMahieu didn’t say he thought the club was underachieving at home with the bat. The Rockies are going to need many more answers if they are going to have any shot at turning this season around. Otherwise, this will be the series that saw the season hit its end.